The controlling venue (i.e. 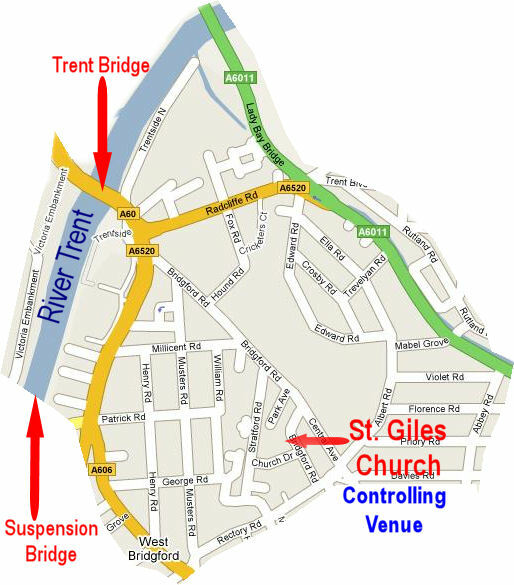 where the Photo Marathon starts and ends) is St. Giles Church, Church Drive, West Bridgford NG2 6AX - web site. This map shows the zone of the Photo Marathon. All photos must be shot within this area. 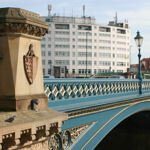 You will be permitted to cross the River Trent either by the suspension bridge or Trent Bridge in order to take photographs from the other side of the river and across the bridges. Please don't take photos on Victoria Embankment away from West Bridgford in the direction of the Meadows, or in the Memorial Gardens as these are not West Bridgford. The Nottingham Forest Football Ground is within the zone.